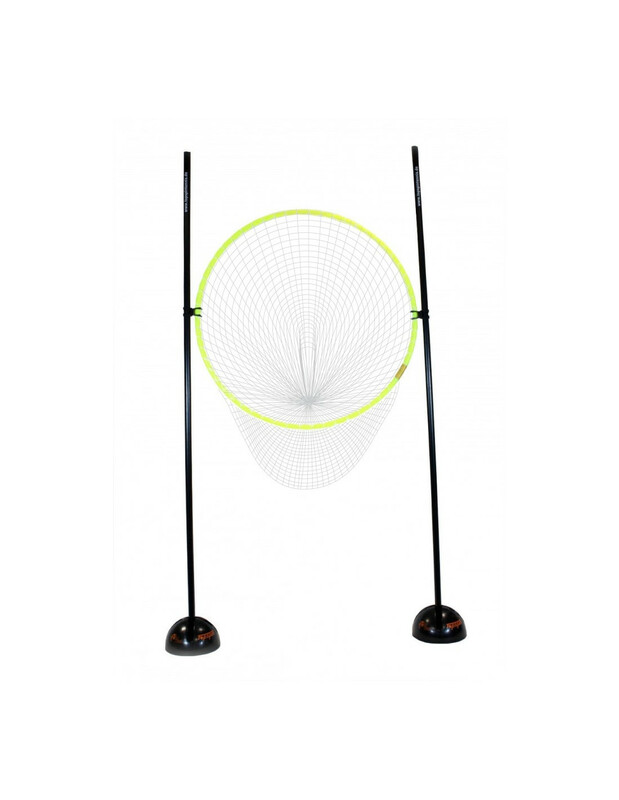 Target made up of a ring with round profile net (90 cm. diameter). 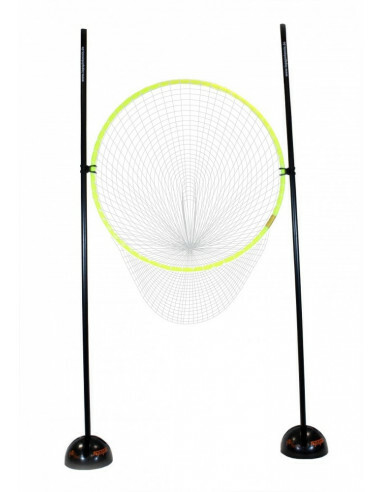 2 sets of two vertical pikes (80 cm high each ) (160 cm total height), and two linkers for attaching the net hoop to pikes. Fill bases with sand or water to provide greater stability.